I don’t always cook from scratch. I’d like to but that isn’t realistic. So what do you do when you’re in a hurry but still want to jazz things up some? 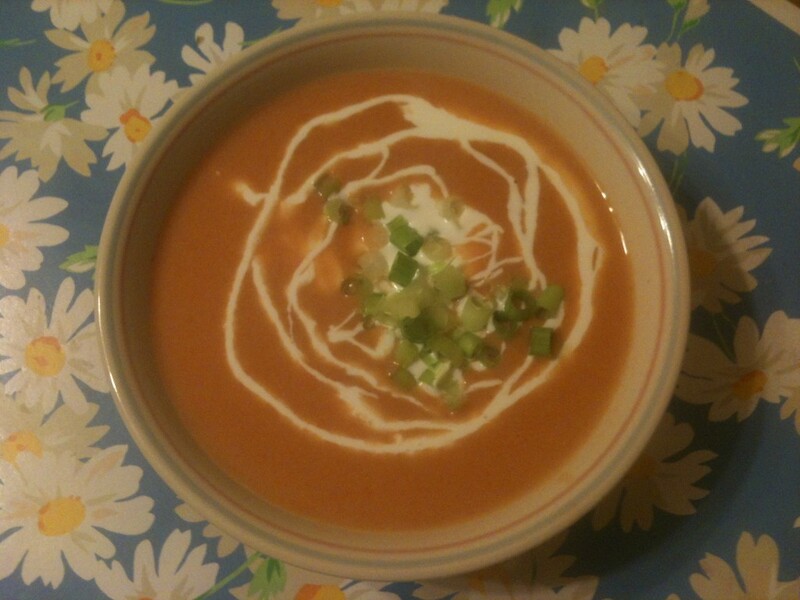 Here are some suggestions for tomato soup, one of my favorites. 1) Use half and half instead of water with the condensed tomato soup. This one suggestion will improve your soup so much, you’ll never know why you didn’t try it before. 2) Garnish your soup. Try some oyster crackers and green onions. How about a spoonful of sour cream with some shredded cheddar cheese over it? Be creative. 3) Use it as the base for a heartier soup. Add some frozen vegetables and some leftover meat to it, makes a better tasting soup. 4) Do not be afraid to season your soup. Put in some Tabasco, a shake or two of Worcestershire sauce, maybe some smoked paprika, definitely some salt and fresh ground pepper. This entry was posted in Everyday Cooking. Bookmark the permalink.